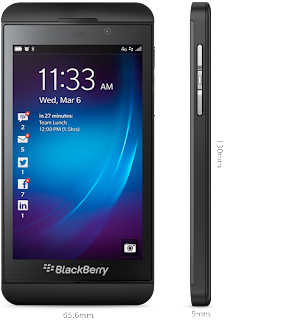 RIM’s Blackberry Z10 is set to be available in Philippines few weeks from now, the first full touch Blackberry device on Blackberry OS 10 is now finally available here in Philippines. According to Blackberry Philippines account @ BlackBerryPH the SRP for Blackberry Z10 is 29990 pesos, you can avail or get a reservation on this device on their authorized Blackberry resellers. 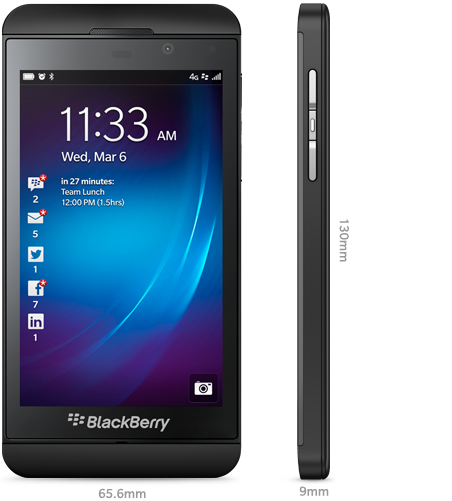 I also spotted Blackberry Z10 available at Widget City online store with the same price. See full specification and image source. Note: Price and specs may change without notice.